As Basselworld 2017 unfolds, Android Wear is making more and more headlines. Watchmakers Fossil Group has announced that it will unleash more than 300 smartwatches and hybrid watches across its considerable 14 brands this year. The brands in question are some of the most popular around - Adidas, Diesel, Burberry, Karl Legerfeld, DKNY, Marc Jacobs and Emporio Armani are among the best known. Of course Fossil will release products under its own brand name as well. Diesel just announced its On smartwatch at Basselworld with a large touchscreen. 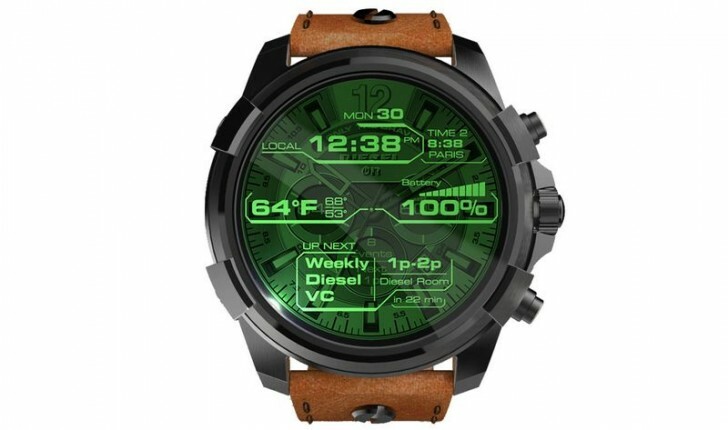 Diesel also has a holiday smartwatch announcement lined up. Emporio Armani will get an Android Wear watch in September while two Fossil watches, the Q Venture and Q Explorist are due next fall. All of the watches will have their own "micro-app" tailored specifically for the identity of each company. Not all Fossil and brand watches will be smartwatches, there are a lot of hybrid watches on the way - those are mechanical watches with some sort of fitness tracking feature. i'll buy it when battery will able to last at least a month...until then, i will use good old automatic watch,and a fitness tracker.